The RFBAQ Senior Executive met and a resolution was passed that I write to you regarding the introduction of a 40kph speed limit in the vicinity of activated emergency beacons. A very large number of incidents that are attended by brigade volunteers across Queensland are bushfires on the edges of roads and highways. Many of these roads are in 110, 100 or 90kph zones where high speed and low visibility combine to make for a very dangerous environment for firefighting operations. The danger of vehicles to Rural Fire Brigade members has been tragically demonstrated with the death of volunteer firefighter Garnet Smoothy of Pinelands Rural Fire Brigade. Garnet was fighting a fire on the Crows Nest / Hayden road when he was struck by a truck that was driving through the smoke. This tragedy exemplifies the need of the 40pkh speed limit in the vicinity of activated emergency beacons. Garnet’s is not the only fatality of a Rural Fire Brigade volunteer who was engaged on a brigade activity who has been struck by a vehicle. Each incident, whether it be a fatality or an injury, creates a huge impact on the volunteer’s family and brigade community. 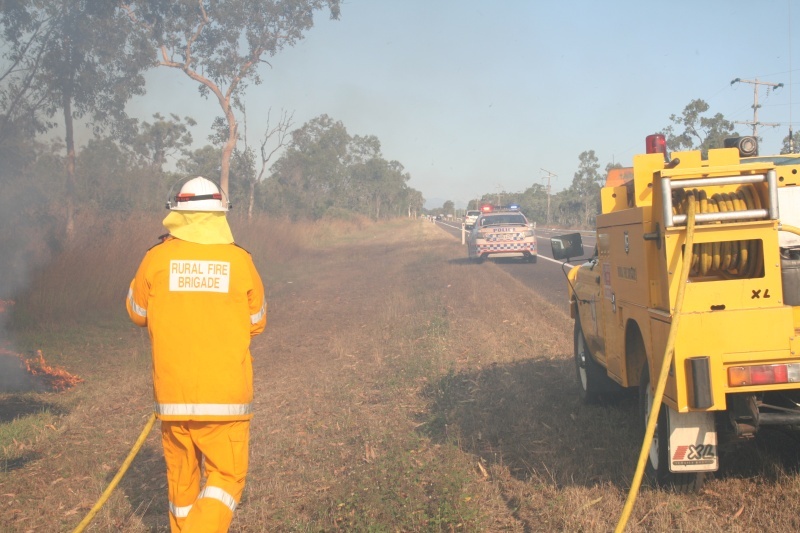 In addition to firefighting operations, Rural Fire Brigades also undertake road crash rescue in parts of Queensland outside of the Fire and Rescue service delivery area and in areas where the State Emergency service does not supply this function. It of course goes without saying that the majority of these operations occur on the road or road corridor. During times of flood, cyclone or any other natural hazard, brigade volunteers are in the forefront of operations due to the sheer size and capacity of the 36,000 brigade volunteers across Queensland. The safety benefits will extend well beyond Rural Fire Brigade volunteers, as all emergency workers, whether volunteer, part time, full time; Ambulance, SES, Police or Fire and Rescue want to go home to their families knowing the state has done everything it can for their safety. If you have any queries regarding this request, please do not hesitate to contact me.